Welcome to Megsstartechnology.com, Megs Star Technology General Trading LLC” maintains the www.megsstartechnology.com Website (“Site”). These Terms and Conditions apply to our supply to you of products and services listed in our online shop. Please read these terms and conditions carefully before ordering any product(s) from the website. You should understand that your use of the website or the information contained within the website or by ordering any of our product(s), you are agreeing to be bound by these terms and conditions. Megsstar Technology in its sole discretion, reserves the right to change these terms and conditions at any time without notice, although any changes will be posted on the website. By browsing the website, you accept that you are bound by these terms and conditions and we therefore recommend that you check these terms and conditions each time you visit the website. Use of the Site is available only to persons who can form legally binding contracts under applicable law. Persons who are “incompetent to contract” as per local Contract Acts are not eligible to use the Site. If you are a minor your parents or legal guardians can transact on behalf of you if they are registered users/members. Megsstartechnology.com reserves the right to terminate your membership and refuse to provide you with access to the Site if Megsstartechnology.com discovers that you are “incompetent to contract”. The Site is not available to persons whose membership has been suspended or terminated by Megsstartechnology.com for any reason whatsoever. If you are registering as a business entity, you represent that you have the authority to bind the entity to this User Agreement. Those who choose to access this Site from outside Dubai are responsible for compliance with local laws if and to the extent local laws are applicable. Megsstartechnology.com will deliver the products only within its jurisdiction and will not be liable for any claims relating to any products ordered from outside its jurisdiction. Except where additional terms and conditions are provided which are product specific, these terms and conditions supersede all previous representations, understandings, or agreements and shall prevail notwithstanding any variance with any other terms of any order submitted. By using the services of Megsstartechnology.com you agree to be bound by the Terms and Conditions. You also agree to provide true, accurate, current and complete information about yourself as prompted by Megsstartechnology.com ‘s registration form (such information being the “Registration Data”). You should also maintain and promptly update the Registration Data to keep it true, accurate, current and complete. If you provide any information that is untrue, inaccurate, incomplete, or not current or if Megsstartechnology.com has reasonable grounds to suspect that such information is untrue, inaccurate, and not current or not in accordance with the User Agreement, Megsstartechnology.com has the right to indefinitely suspend or terminate your membership and refuse to provide you with access to the Site. Interfering or disrupting networks or web sites connected to the Site.Making, transmitting or storing electronic copies of materials protected by copyright without the permission of the owner. You understand that by using this Site or any services provided on the Site, you may encounter Content that may be deemed by some to be offensive, indecent, or objectionable, which Content may or may not be identified as such. You agree to use the Site and any service at your sole risk and that to the fullest extent permitted under applicable law, Megsstartechnology.com and its affiliates shall have no liability to you for Content that may be deemed offensive, indecent, or objectionable to you. The Megsstartechnology.com and use of it is governed by the laws of the Emirate of Dubai and the federal laws of the United Arab Emirates. Any proceedings with respect to or in connection with the Megsstartechnology.com and/or use of it must be brought in that jurisdiction. While every effort is taken to ensure accurate product and pricing information, pricing or typographical errors may occur. Megsstartechnology.com cannot confirm the price of a product until after you order. In the event that a product is listed at an incorrect price or with incorrect information due to an error in pricing or product information, Megsstartechnology.com shall have the right, at our sole discretion, to refuse or cancel any orders placed for that product, unless the product has already been dispatched. In the event that an item is wrongly priced, Megsstartechnology.com may, at its discretion, either contact you for instructions or cancel your order and notify you of such cancellation. Unless the product ordered by you has been dispatched, your offer will not be deemed accepted and Megsstartechnology.com will have the right to modify the price of the product and contact you for further instructions using the e-mail address provided by you during the time of registration, or cancel the order and notify you of such cancellation. In the event that Megsstartechnology.com accepts your order the same shall be debited to your credit card account and duly notified to you by email that the payment has been processed. The payment may be processed prior to Megsstartechnology.com dispatch of the product that you have ordered. If we have to cancel the order after we have processed the payment, the said amount will be reversed back to your credit card account. No cash disbursement shall be made under any condition whatsoever. 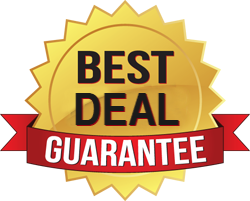 We strive to provide you with the best prices possible on Megsstartechnology.com as well as in all our stores under Megsstar Technology LLC. However, sometimes a price online does not match the price in a store. In our effort to be the lowest price provider in your particular geographic region, store pricing will sometimes differ from online prices. We try to ensure that we always stock the full product range and will let you know if the product is out of stock. If for any reason beyond our reasonable control we are unable to supply a particular product, we will not be liable to you except that the charges will be reversed for that product after deducting any bank charges, if applicable.The said limitations may be applicable to orders placed by the same account, the same credit card and also to orders that use the same billing and/or shipping address. Megsstartechnology.com will provide notification to the customer should such limits be applied. After placing an order, you will receive an e-mail from us acknowledging that we have received your order. Please note that this does not mean that your order has been accepted. Your order constitutes an offer to us to buy a product or products as advertised by us. All orders are subject to acceptance by us, and we will confirm such acceptance to you by sending you an e-mail that confirms that the product(s) has/have been ordered (the “Order Confirmation”). The contract between you and us (the “Contract”) is only formed when we send you the Order Confirmation. The contract will relate only to the products we have confirmed in the Order Confirmation. We will not be obliged to supply any other products which may have been part of your order if we can not supply them. If we decide not to accept all or part of your order, we will not be obliged to supply any (other) products which may have been part of your order. Megsstartechnology.com reserves the right, at its sole discretion, to refuse or cancel any order for any reason whatsoever. Limitations on quantities available for purchase inaccuracies or errors in product or pricing information, or problems identified by our credit and fraud are some situations that may result in the order being canceled, additional verifications or information may be requested before accepting any order. We will contact you if all or any portion of your order is canceled or if additional information is required to accept your order. If your order is cancelled after your credit card has been charged, the said amount will be reversed back in your credit card account. No cash disbursement shall be made under any condition whatsoever. In case we receive a cancellation notice and the order has not been processed/approved by us, we shall cancel the order and refund the amount after deducting the bank charges. We will not be able to cancel orders that have already been processed and shipped out by us. Megsstartechnology.com has the full right to decide whether an order has been processed or not. The customer agrees not to dispute the decision made by Megsstartechnology.com and accept Megsstartechnology.com ‘s decision regarding the cancellation. Customer can cancel their order within 24 hours; refunds will be made back to the payment solution used initially by the customer. Please allow for up to 45days for the refund transfer to be completed. *For Emirates NBD/Emirates Islamic Card . *10%Discount on all purchases above 1000 AED, use coupon code at checkout. *The offer valid from 21/11/18 to 21/11/19. *This promotion cannot be used in conjunction with other promotions or coupon. *Discount offer not applicable on order made with Apple pay/Samsung pay. *Megsstar Technology reserve the right at any time to amend /add/remove/modify(in whole or part) any of the terms & condition of this promotion.Megsstar can replace this promotion with another promotion, whether similar to this promotion or not or withdraw it altogether. Megsstar Technology decision in this regard shall be final. You agree, understand and confirm that the credit card details provided by you for availing services on Megsstartechnology.com will be correct and accurate and you shall not use the credit card which is not lawfully owned by you, i.e. in a credit card transaction, you must use your own credit card. You further agree and undertake to provide the correct and valid credit card details to Megsstartechnology.com. Further the said information will not be utilized and shared by Megsstartechnology.com with any of the third parties unless required for fraud verifications or by law, regulation or court order. Megsstartechnology.com will not be liable for any credit card fraud. The liability for use of a card fraudulently will be on you and the responsibility to prove otherwise shall be exclusively on you. Megsstartechnology.com reserves the right to recover the cost of products, collection charges and lawyers fees from persons using the Website fraudulently. Megsstartechnology.com reserves the right to initiate legal proceedings against such persons for fraudulent use of the Website and any other unlawful acts or acts or omissions in breach of these Terms and Conditions. Free Delivery within UAE on all orders above 100 AED., Delivery will be done in 3 working days. All deliveries above 300 AED are entitled for free delivery in countries like Oman, Bahrain. Cash on delivery are accepted for above countries. 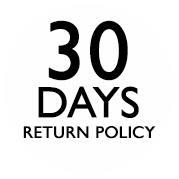 Return are accepted from 30 days from date of purchase only if the product are unopened sealed & in original packing. Delivery in countries mentioned above shall be done in 6 working days from date of purchase. That the address at which delivery of the product ordered by you is to be made will be correct and proper in all respects. If a recipient’s address is found to be incomplete or incorrect, we may attempt to find the correct address and to complete the delivery, but we assume no responsibility for our inability to complete delivery under such circumstances. If the address is incorrect, or if delivery can’t be completed, then a surcharge for extra cost will be imposed to the customer. That In the event that a non-delivery occurs on account of a mistake by you (i.e. wrong name or address or any other wrong information) any extra cost incurred by Megsstartechnology.com for redelivery shall be claimed from you. -All orders are shipped out by courier or supplier deliveries. Delivery is normally door-to-door but there may be instances where this is not possible due to courier company limitations or local laws. All orders ship from the UAE. Orders shipping outside of the U.A.E may be subject to Import taxes, customs duties and fees levied by the destination country. Please note Megsstartechnology.com has no control over these charges and cannot predict what they may total. When ordering from Megsstartechnology.com, the customer is responsible for ensuring the parts can be lawfully imported into their destination country. These laws and regulations might include a variety of taxes and fees. It is the customer’s responsibility to pay these upon delivery of their goods. Customers who refuse to pay the custom and duty fees and therefore refuse delivery of their order will not be refunded for their order. Please check with your government on potential import duty and taxes before placing your order. Megsstartechnology.com shall not be held responsible for a failure to execute, in whole or in part, any of its obligations towards you, nor for losses or damages that could result from such failure to execute, if said failure is as a result of a force majeure or of any circumstance beyond its control. A Force Majeure event includes any act, event, non-happening, omission or accident beyond our reasonable control. If any part of this agreement is determined to be invalid or unenforceable pursuant to applicable law including, but not limited to, the warranty disclaimers and liability limitations set forth above, then the invalid or unenforceable provision will be deemed to be superseded by a valid, enforceable provision that most closely matches the intent of the original provision and the remainder of the agreement shall continue in effect. Unless otherwise specified herein, this agreement constitutes the entire agreement between you and Megsstartechnology.com with respect to the Megsstartechnology.com sites/services and it supersedes all prior or contemporaneous communications and proposals, whether electronic, oral or written, between you and Megsstartechnology.com with respect to the Megsstartechnology.com sites/services. Megsstartechnology.com ‘s failure to act with respect to a breach by you or others does not waive its right to act with respect to subsequent or similar breaches. This User Agreement is effective unless and until terminated by either you or Megsstartechnology.com. You may terminate this User Agreement at any time, provided that you discontinue any further use of this Site. Megsstartechnology.com may terminate this User Agreement at any time and may do so immediately without notice, and accordingly deny you access to the Site, Such termination will be without any liability to Megsstartechnology.com. Upon any termination of the User Agreement by either you or Megsstartechnology.com , you must promptly destroy all materials downloaded or otherwise obtained from this Site, as well as all copies of such materials, whether made under the User Agreement or otherwise. Megsstartechnology.com ‘s right to any Comments shall survive any termination of this User Agreement. Any such termination of the User Agreement shall not cancel your obligation to pay for the product already ordered from the Site or affect any liability that may have arisen under the User Agreement. All products purchased are covered with 1 year warranty.